After nearly a century of entertaining young and old alike, and over a million miles of riding pleasure, the Chippewa Park carousel is in desperate need of heritage restoration. Handcrafted by the “Amusement King” C.W. Parker in 1915, and in operation since 1934, the Chippewa Park Carousel is a rare, designated heritage structure greattly loved by the people of Thunder Bay. Restoration is costly. High standards have to be adhered to and the best resotoration practicies put in place. Lisa Parr, an internationally renowned carousel resotration expert has been hired to help guide the process and to ensure these standards are met. This has meant all the work can be done by local artisans and tradespeople under her watchful eye. 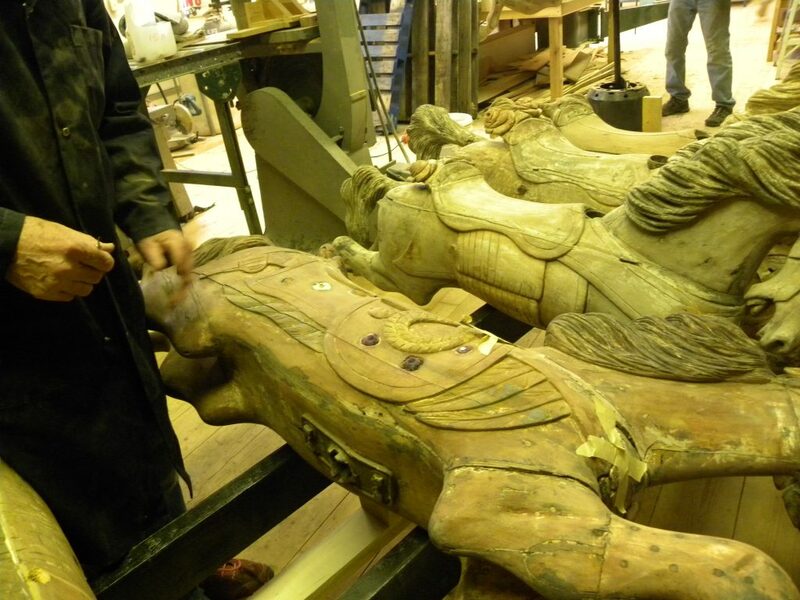 It takes over a week to hand strip each horse and up 3 weeks or more to complete the repairs, carving and painting. We estimate the final costs which will include major mechanical and electrical repairs will cost upwards of $900.000. In November 2017, the Carousel Restoration Committee received $100,000 from the Canada 150 Fund, with an additional $200,000 earmarked by the City of Thunder Bay in its 2018 budget. This is is a good start but we need your help to complete the job. Your support will bring us closer to our goal, while helping to preserve a unique piece of history important in both Thunder Bay and on a global scale. Although C.W. 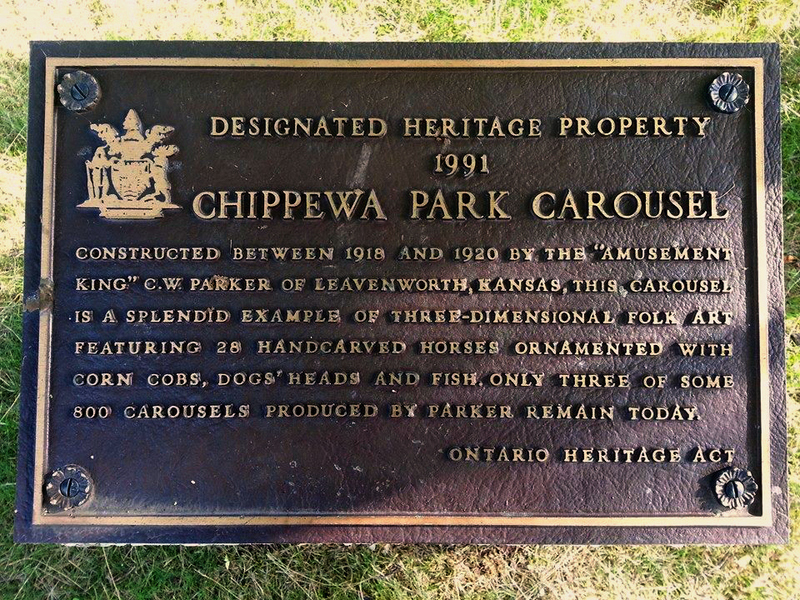 Parker built over 800 carousels in his day, the Chippewa Park carousel is 1 of only 3 that remain in Canada today. Over the years, with minimal resources, the staff at Chippewa Park have kept the carousel alive. In fact, very few carousels of this age are still in operation anywhere in North America. The carousel is facing a number of significant challenges. For example, the original Eli engine has been replaced, first with a gas engine and then with a much quieter electric motor but unfortunately, other key aspects of the carousel are in dire need of repair or replacement. This includes the electrical lighting system and mechanical works. 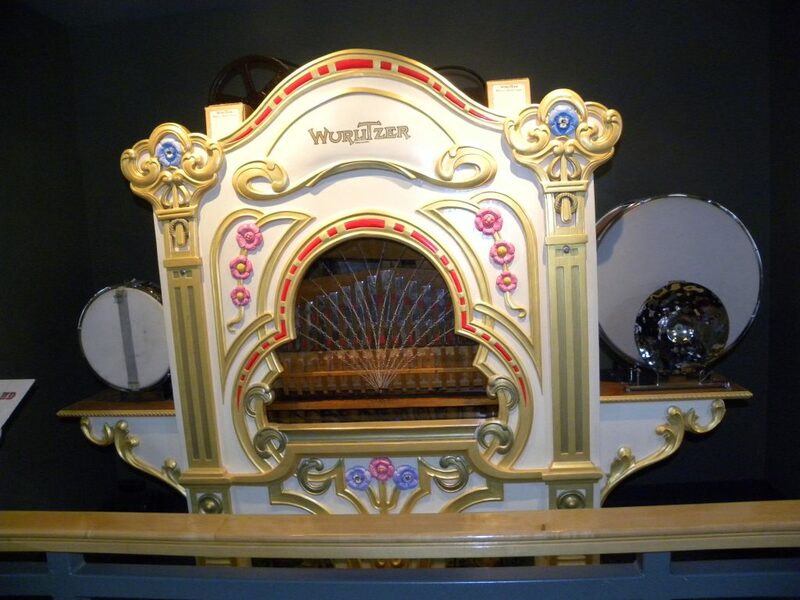 The wonderful WurliTzer paper roll organ which used to belt out wartime favourites is also a rare structure which has not been operational in over 40 years. The gears are severely worn and the horses are in need of significant rehabilitation, and must be stripped down to their “bones”. The horse restoration required includes new paint following the original painting schemes, structural reconstruction, and glass jewel preservation and/or replacement. On an architectural level, the rounding boards, mirrors, centre panels, and chariots also require advanced restoration to ensure the Carousel can be functional and safe for all riders once again. While this is a lot of work, we face the added challenge of adhering to heritage standards of restoration. We want to do this right! For this reason, the Friends of Chippewa Park has enlisted the much-needed help of internationally recognized carousel restoration expert, and Parker Carousel restorer, Lisa Parr. We’re proud to say the Carousel will remain in Thunder Bay at Chippewa Park and will be restored locally by teams of artisans and volunteers under the guidance of Ms. Parr. 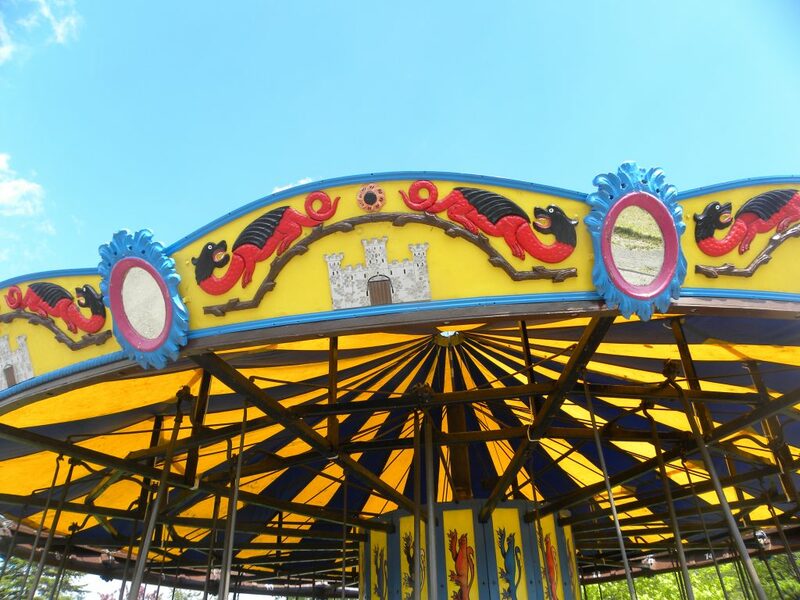 The Carousel Restoration Committee will also look to local vendors and businesses to assist with mechanical part fabrication, electrical maintenance, and special orders.